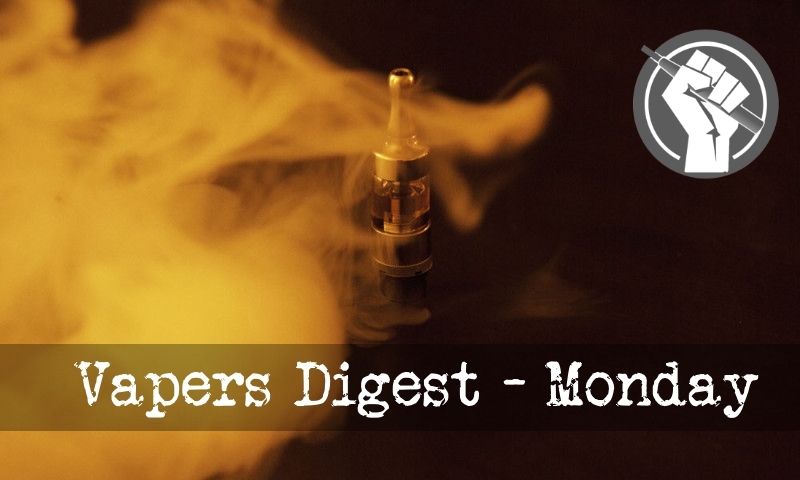 This week’s vaping news has been dominated by the FDA’s tough new restrictions on flavoured e-liquids. Allegedly aimed at deterring teen use, the agency’s move is likely to slash the number of harm reduction products available in small retail outlets – although it could be good news for specialist vape shops. So far, two major manufacturers of pod systems have announced that they’re pulling most of their flavours from the shelves and only making them available online. More are likely to follow. My children, their children, all know this. The fact that smoking is bad is engrained in their DNA almost from birth (while this may seem like a good idea it’s in fact not because you lose your critical thinking skill as I describe below). What Is Scott Gottlieb Smoking? The FDA’s just-unveiled Draconian restrictions on vaping products are an example of good PR but bad public-health policy. And regulators know better. When he headed the FDA, Dr. Frank Young used to admonish his minions that there were times when common sense should modulate established policies and rules. That can be done in federal agencies via “enforcement discretion,” a tool that regulators use to carry out their mandate in light of sometimes ambiguous laws and regulations. Ironic, sales of cigarettes are the single biggest contributor to you and your salary at @truthinitiative… via the Master Settlement Agreement. You don’t actually do anything for smokers. What gives? Scientists, public health professionals and policy makers gathered at The Royal Society in London, on Thursday, for The E-Cigarette Summit: Science, Regulation and Health 2018. Planet Of The Vapes was invited to attend and listen to speakers discussing research, evidence and viewpoints on the issues surrounding vaping and tobacco harm reduction (THR). The E-Cigarette Summit has been running since 2013; its sixth incarnation continued to offer a neutral environment for people of differing sides of the vape debate to engage in meaningful dialogue. Sarah Jakes from The E-Cigarette Summit on Vimeo. As long-time readers will have noticed, the last year has been considerably lighter on content than previously, and in recent months very sparse indeed. This is because, sadly, a lot of real life has barged its way in – both business and personal – and has left me little time (and sometimes inclination) to write much here. Shocking stats on tobacco use.. According to the 6th Edition of the Tobacco Atlas , a free online resource and companion book that maps the nature and magnitude of the tobacco epidemic and chart a course toward clear, proven solutions ( funded by the American Cancer Society ) , tobacco use has greatly increased in ALL African countries. More adults , children and women are smoking cigarettes . Tobacco related deaths also uniformly increased in ALL countries . Giving up cigarettes isn’t easy. Although some can quit completely, for others it can be a hard journey. Over 60% of smokers in Great Britain want to give up*. So what’s stopping them? There are more ways than ever to help smokers quit, such as nicotine patches, gums and tablets. And there are better alternatives to smoking such as e-cigarettes and heated tobacco. Many will carry on smoking without the right help and support, as the figures show. Holdmylight.co.uk is a new and exciting approach to help smokers give up for a month – with a little help from their friends. ​On September 12th FDA Commissioner Dr. Scott Gottlieb publicly declared that youth usage of vapor products had reached “epidemic” proportions. The FDA sent out over 1,000 warning letters to businesses for the illegal sale of e-cigarettes to minors and issued 131 fines to repeat offenders. They also sent letters to 5 large vapor manufacturers whose products were sold to minors during the “enforcement blitz” and whom the FDA believes collectively represents the majority of the vapor market – Juul, Vuse, MarkTen, Blu, and Logic. Philip Morris International Inc. will open a flagship store in Johannesburg as it tries to stoke demand in Africa for its alternative cigarette known as iQOS, which heats rather than burns tobacco to give users their nicotine kick. The Marlboro maker plans to use the shop as a springboard to expand in the rest of the continent, according to spokesman Alessandro Poggiali. South Africa is the only African country in which Philip Morris distributes iQOS, but more are slated to follow, he said. Preliminary findings of studies conducted by two universities in the Philippines and Indonesia show that vaping or the use of electronic cigarettes is less harmful than smoking. Harm reduction advocates, including doctors, scientists and lawmakers, said the results of such clinical research should convince health authorities, including the Department of Health in the Philippines, to consider the use of e-cigarette as an effective harm reduction tool or as a way to quit smoking. FDA Stomps Big Vape, But at What Cost? What to make of FDA’s new JUUL Rule? Well, you could feel ‘hope’ after hearing Commissioner Scott Gottlieb state that there is a “public health benefit” for adult cigarette smokers who switch to vaping. Gottlieb also emphasized the importance of flavors for adult vapers and he clarified FDA “is not revisiting the compliance policy” for vapor products sold in age-restricted locations i.e. vape shops. This week FDA Commissioner Scott Gottlieb announced a plan to close the on-ramp to kids using e-cigarettes while preserving adult use of “potentially less harmful forms of nicotine delivery.” The plan’s centerpiece curbs the sale of flavored e-cigarettes, which regulators claim entice youth (logic that apparently doesn’t extend to Absolut Peach vodka or Jack Daniel’s cinnamon whiskey), but which also help smokers quit because they don’t remind them of traditional cigarettes.